Key stakeholder organisations are the primary audience for ACER’s consultation plan. Other interested parties may access this information and are encouraged to contribute to current discussions about senior assessment and tertiary entrance in Queensland. ACER Joint Investigators Geoff Masters and Gabrielle Matters met with the CEOs (or equivalent/delegates) across the Queensland education sector, including the Director-General of the Department of Education,Training and Employment, the three schooling sectors, universities and other providers, QSA, QTAC, parent groups, principal associations and teacher union representatives, to discuss the proposed recommendations. This meeting provided an opportunity to further clarify, and identify support and outstanding aspects for further consideration in the final stage of the Review. There will be an External Assessment in each subject that contributes up to 50 per cent of the Subject Result. External Assessments will be subject-dependent. QCAA will set and mark these assessments. Schools will design and administer School Assessments that, taken together, contribute no less than 50 per cent to the Subject Result. Three types of assessment will be specified for each subject. Numerical marking will apply against five described levels specific to each assessment and set down in marking guides. A revamped moderation process, designed to enhance the comparability of School Assessments, will focus on quality assurance at the beginning of the moderation cycle. School Assessments and an External Assessment for each subject will be combined to produce a stand-alone Subject Result on a 50-point scale. Universities decide the method for selecting Year 12 completers into their courses. Universities (most if not all) have indicated they wish to use an ATAR. Universities will be able to use an ATAR derived from Subject Results and inter-subject scaling. Queensland universities will need to decide on the eligibility rules for an ATAR (number of subjects, combinations of subjects, pre-requisite subjects and so on). QTAC should be responsible for calculating an ATAR or any other measures that the universities require for selection. 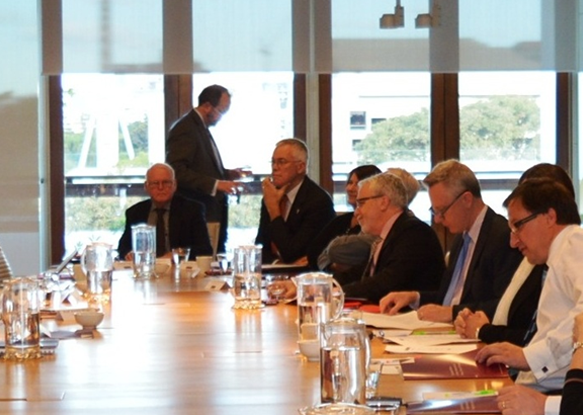 This significant event provided an opportunity for key stakeholders and interested parties to hear the direction and details of proposals for senior assessment and tertiary entrance in Queensland and take part in a Q & A session with the ACER Reviewers, Dr Gabrielle Matters and Prof Geoff Masters. A copy of the presentation from this event is available. Disclaimer: Please note, the presentation outlines the details and directions of ACER's deliberations at this stage of the Review for the purposes of stakeholder consultation and is subject to change as the Review progresses. The information provided does not represent ACER's final position or Government policy. A vital component of ACER’s consultation process was a forum for key stakeholder organisations held on Thursday, 13 March 2014, 4:00 pm to 8:00 pm, at the Brisbane Hilton. 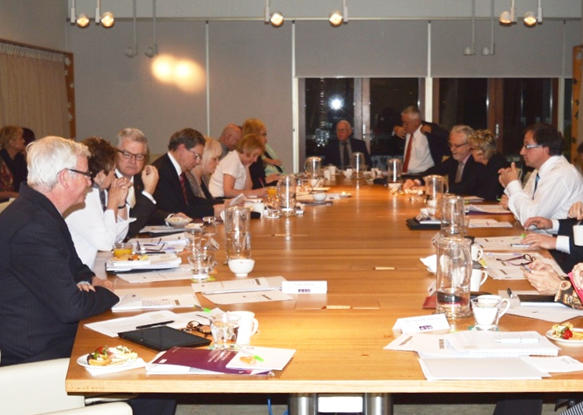 More than 100 people attended the event at which key stakeholder organisations were given the opportunity to present their views in such a way that those views could be heard by their colleagues and by the reviewers. The Program Outline for this event is available for review. 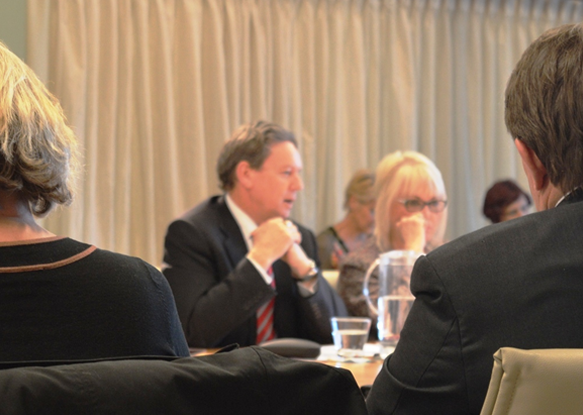 Key Stakeholders and organisations were invited to take part in this forum. Summary of concepts discussed – Graphic 2. ACER thanks all of the participants in this forum. The reviewers greatly value all of the information gathered. The deadline for submissions closed on 24 April 2014 and these are now being reviewed. Peak bodies and the broader community were invited to respond to the set of focus questions through written submissions. A public survey was conducted in the period 31 October 2013 to 13 December 2013. The survey (hosted by DETE) was available online (posted on ACER’s review website). The survey collated responses to 21 questions covering a range of issues relating to tertiary entrance and senior assessment both now and into the future although the on-line format limited the depth to which issues could be explored. A total of 2287 responses were received including secondary educators (60 per cent of total respondents), parents of secondary students (13 per cent), and university personnel (nine per cent). The existence of the survey was promulgated in various ways − at meetings with stakeholder groups, an e-mail announcement from ACER to representatives of key stakeholder organisations (1 November), advance notice on the review website, an email from the Director-General (15 November), and a media release from the Minister (19 November). After an initial surge in responses from 5 November there was another peak on 19 November, most likely in response to the Ministerial press release. The survey data were analysed by Dr Robert Lake of NovumAVI. It is important to note that the respondents constituted a self-selecting sample and therefore the results are not representative of the education community. It is also important to note that the survey was posted ahead of any substantial conversations about the systems under investigation so, for example, when answering the question about the ideal number of levels of achievement the respondents would probably not have been aware that the reviewers were considering a much finer scale for reporting results. Nevertheless, the survey results produced a glimpse of what people thought about issues that had been prominent from the beginning of the review: limitations in public understanding of the OP system, with a majority of respondents suggesting the system is hard to understand (60 per cent) and to explain to others (72 per cent); a strong positive view of alternative (non-OP) pathways to tertiary education (68 per cent); limited support for a more finely-grained OP process (30 per cent of respondents); a generally positive view of teacher-devised assessments (70 per cent of respondents); and a concern with comparability of senior assessment across schools (60 per cent of respondents).